LIVE NOW! Episode 8 of "Rockstar Energy Racing: Beyond The Finish Line" featuring Davi Millsaps, Blake Wharton, Nico Izzi, Ryan Sipes, Jason Anderson and Daniel Baker. 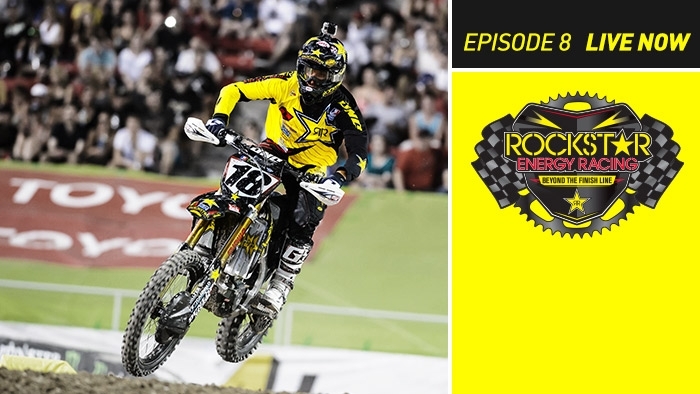 In this episode, the Rockstar Energy Racing team heads to Las Vegas for the last race of the 2013 Supercross season. Watch HERE.